A friend of mine complained this weekend that I don't post enough... and she's totally right. Let's say that a full-time job and social life are not good for my blog. But I'm trying and I am constantly taking photos, I just need to find the time to create posts. So here's one I think you'll like. 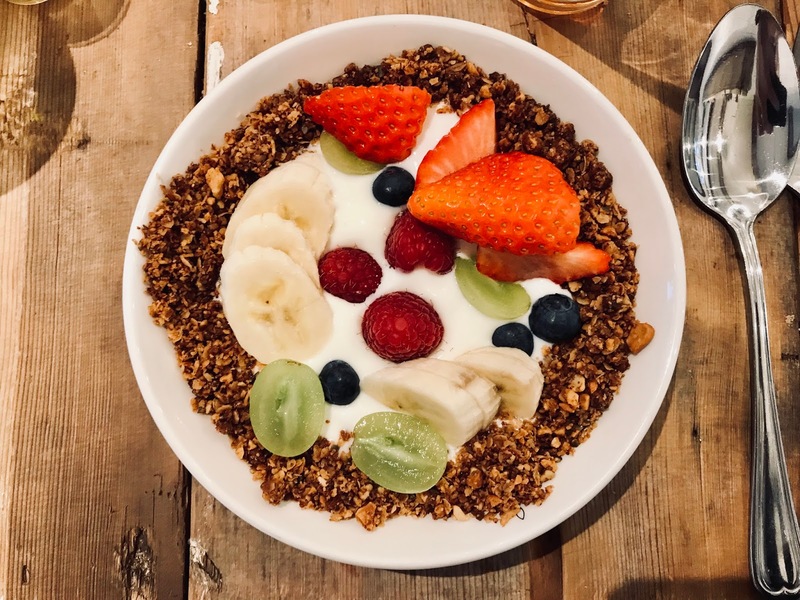 It's kind of like a food diary, but then with all kinds of different restaurants and cafés, I tried in Amsterdam the last two months (more or less). 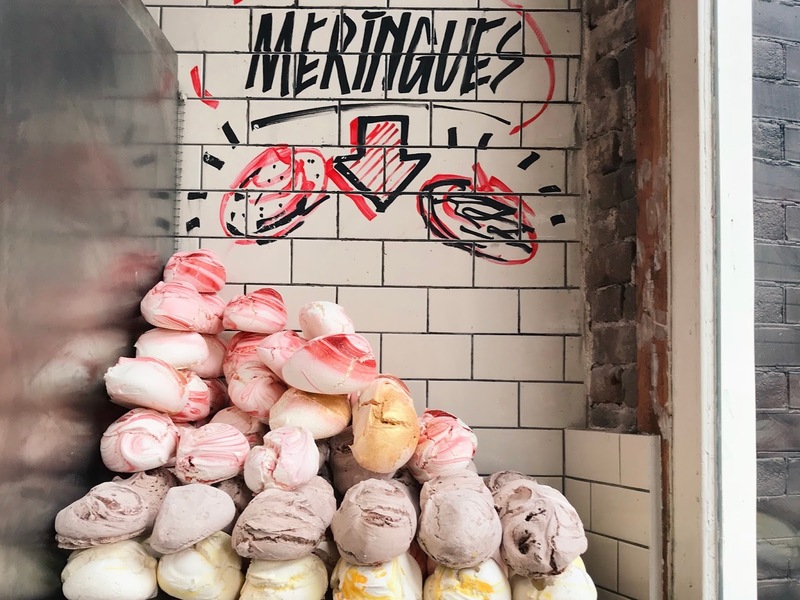 From the best brunch to the tastiest truffle pasta, I've got some good addresses for you. Homemade crumpets with plums and clotted cream at Dignita. Super good. 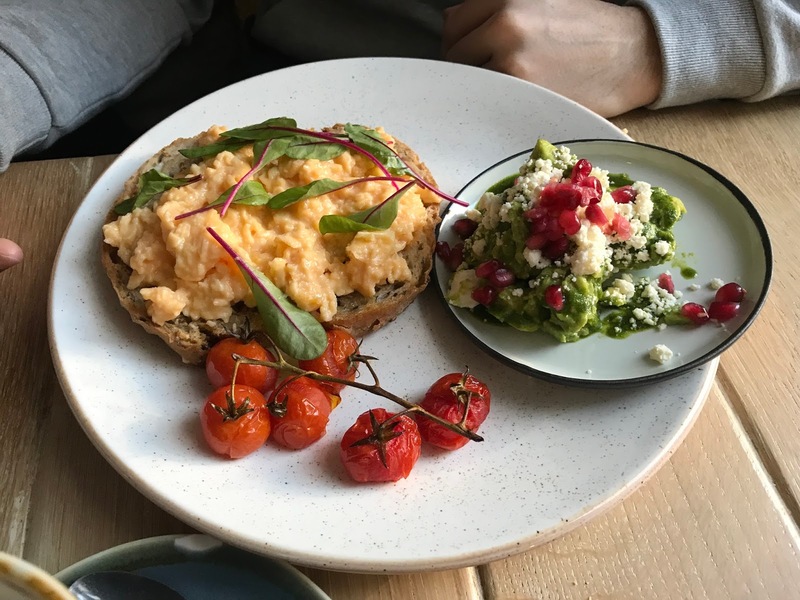 Not mine but also good: scrambled eggs with avocado and roasted tomatoes at Dignita. Cortado at Toki. 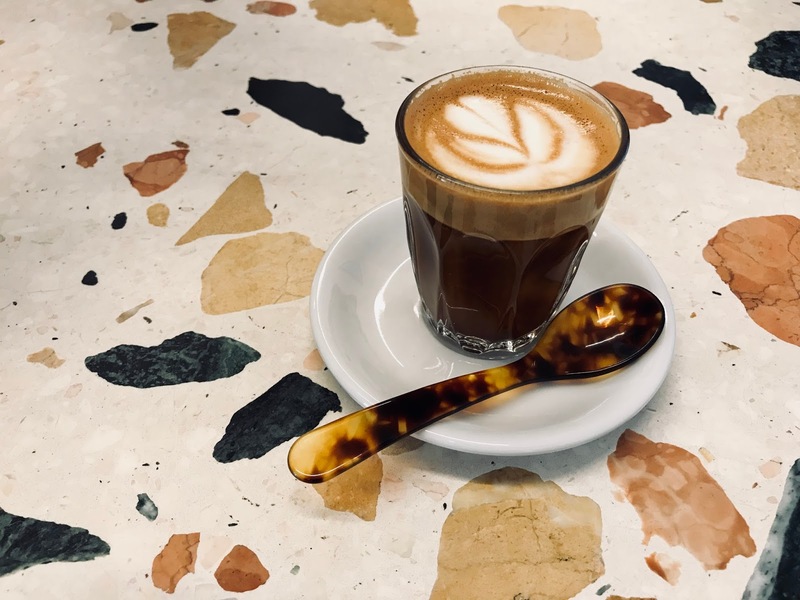 Hands down my favorite coffee place in Amsterdam, but I need to try more spots. 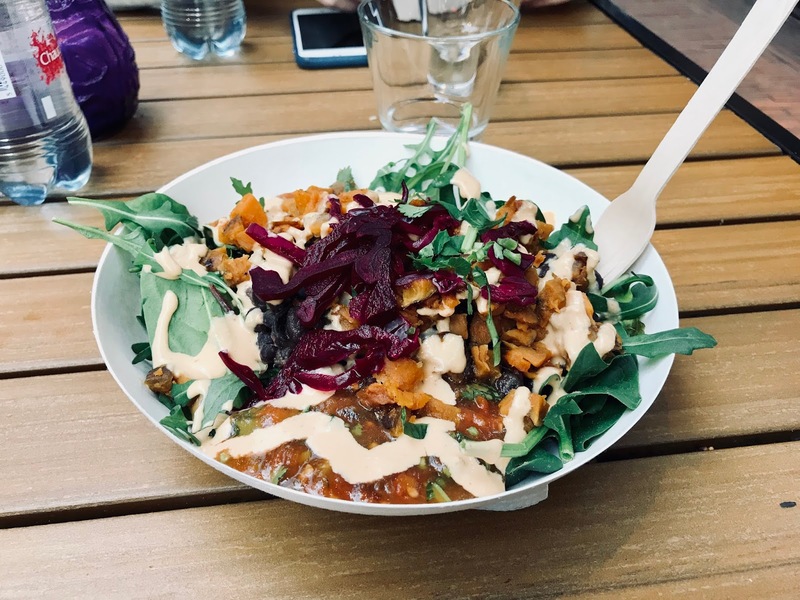 Vegan burrito bowl at Fento at the Foodhallen. Healthy and tasty but a tiny bit taste-less. Pizza at La Perla. 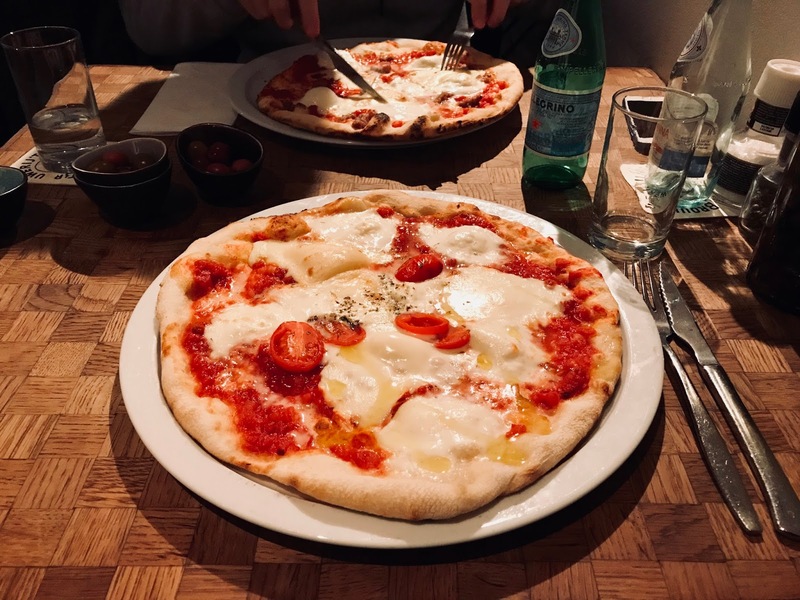 A little too much cheese (we had one with extra cheese), so I'd go for the original Margherita. Super cozy little restaurant with a takeaway on the opposite side of the street. 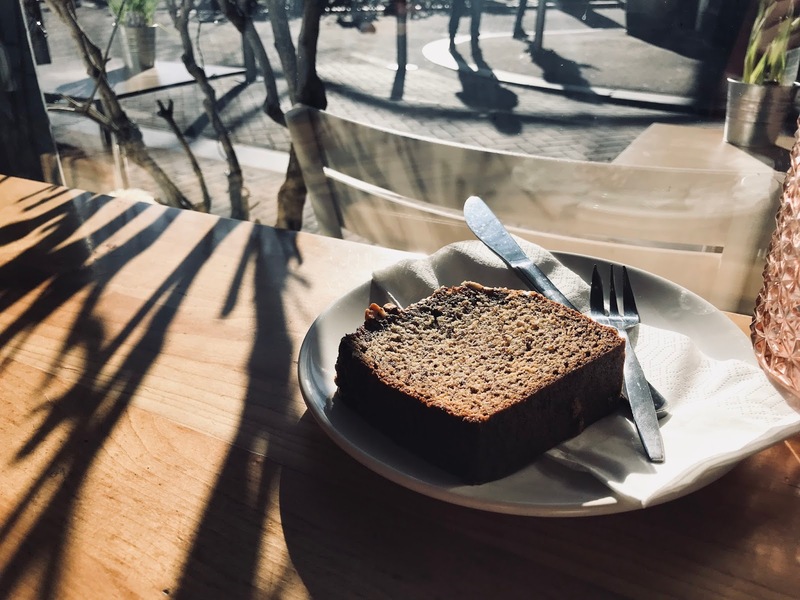 Banana bread at Puccini. Lovely little sunny spot, sweet staff and nice food (the sandwiches are out of this world). 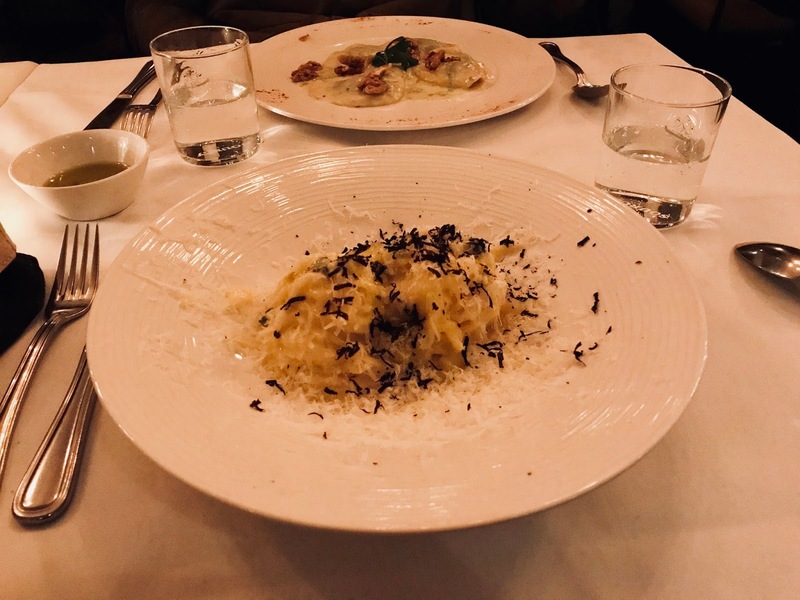 Truffle pasta at Impero Romano. Nice restaurant, good food. This pasta is very rich even though it's small. 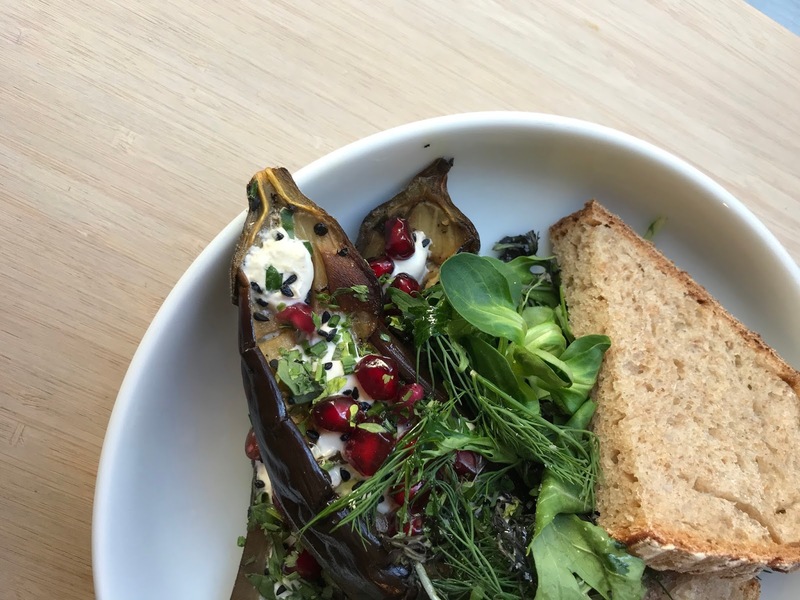 Aubergine with pomegranate (Ottolenghi style) at Vinnies. 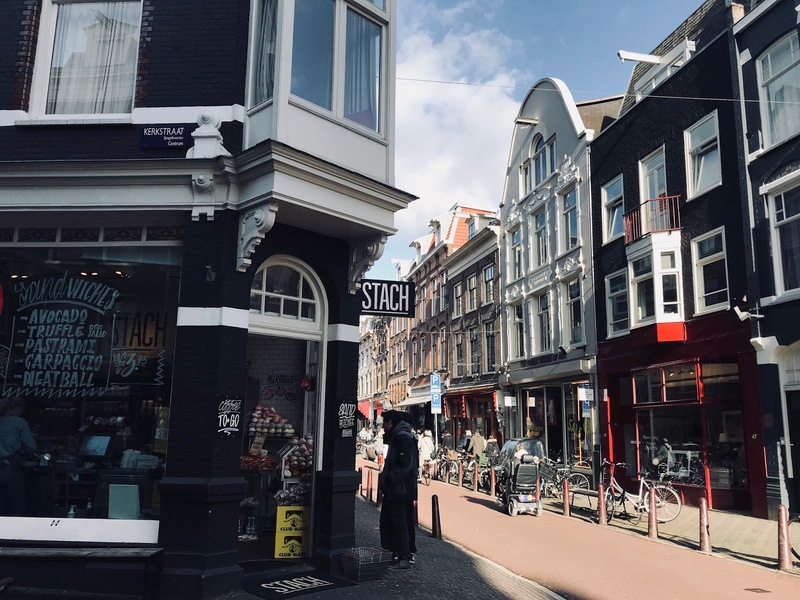 One of my favorite little lunch spots, on the Haarlemmerstraat. 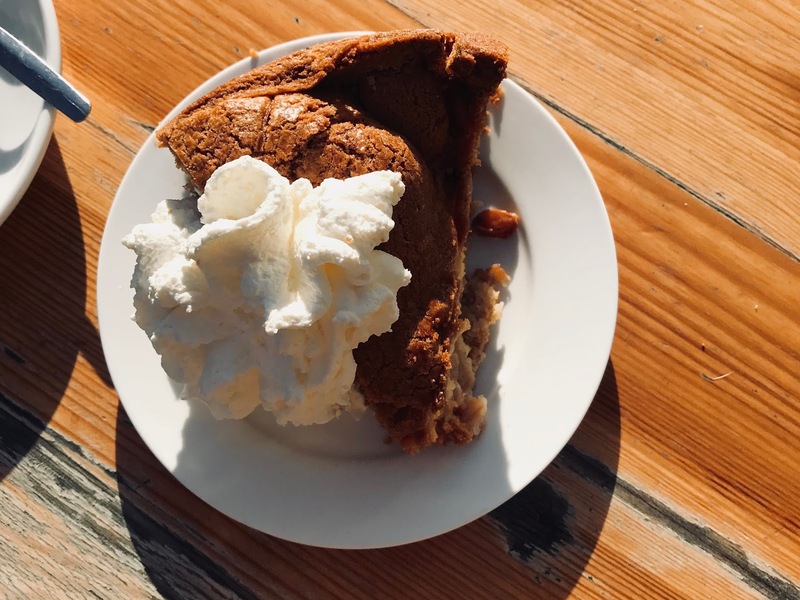 The best apple pie in Amsterdam at Winkel 43. Best enjoyed in the sunshine, shared with a friend/mom/brother/lover. 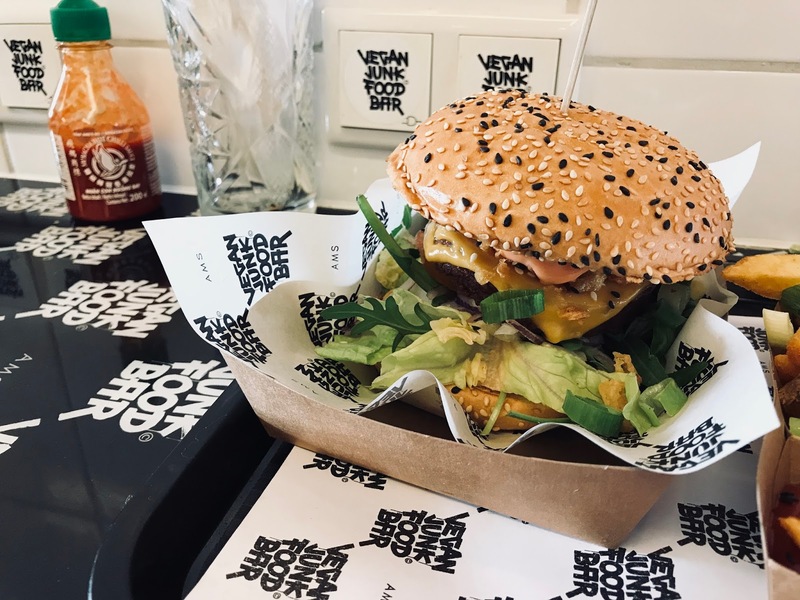 Vegan burger at the Vegan Junk Food Bar. I love the concept, and it's proper fast food. I had the original burger. 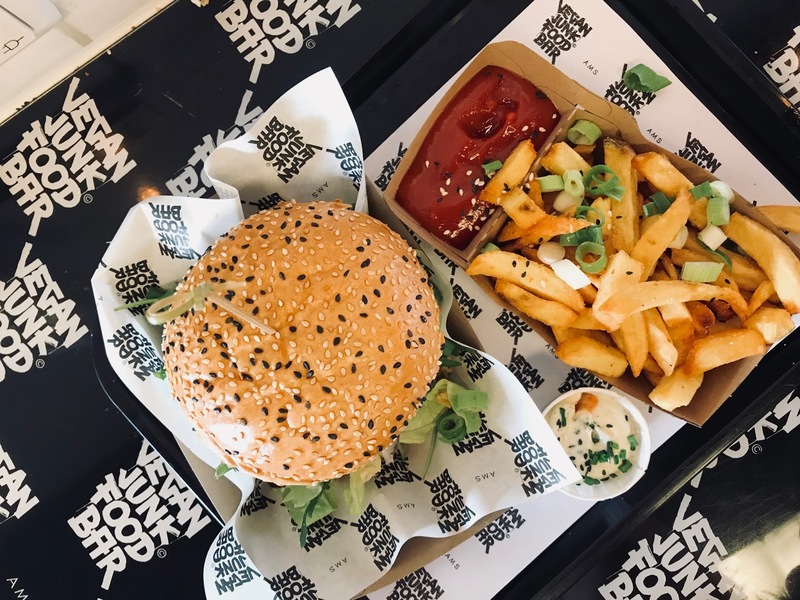 Really good, except the bun it too big for the patty and it's a little too much spring onion for my taste. The fries are really excellent and the sauces too. Stach for quick meals: soups, sandwiches, salads, and snacks. Small prices, fresh food and really tasty every time. And I love that they're located all over the city. 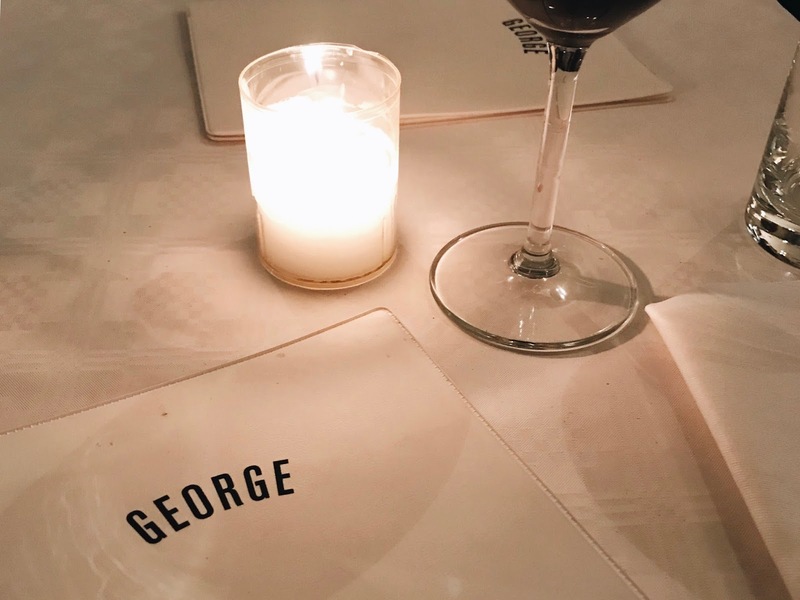 Dinner at George W.P.A. Not pictures: sole with fries. I hardly ever eat fish but I felt like it and it was really tasty here. George W.P.A. is a good go-to option if you don't know where to go, and if you want a nice basic brasserie meal. Their terrace is amazing for sunny days. 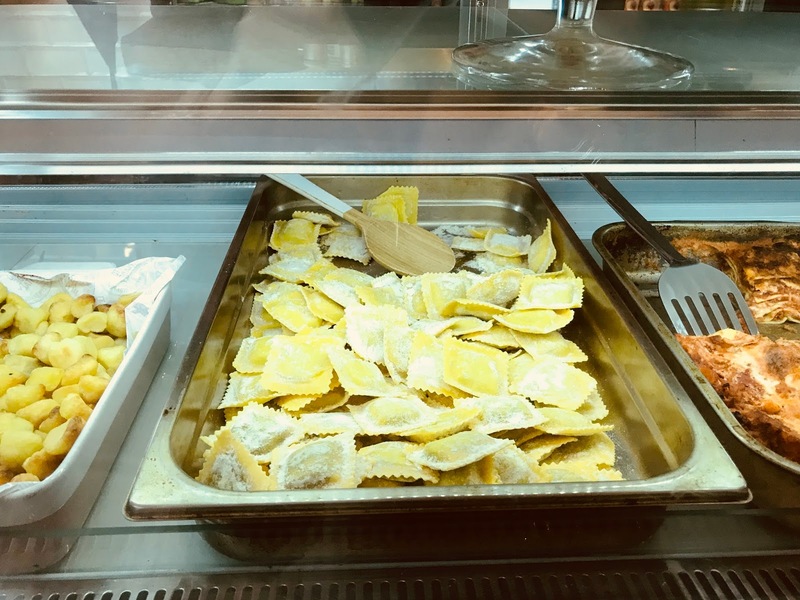 Fresh pasta at Rigoletto café, run by Italians. Love the atmosphere and the Italian hostess. 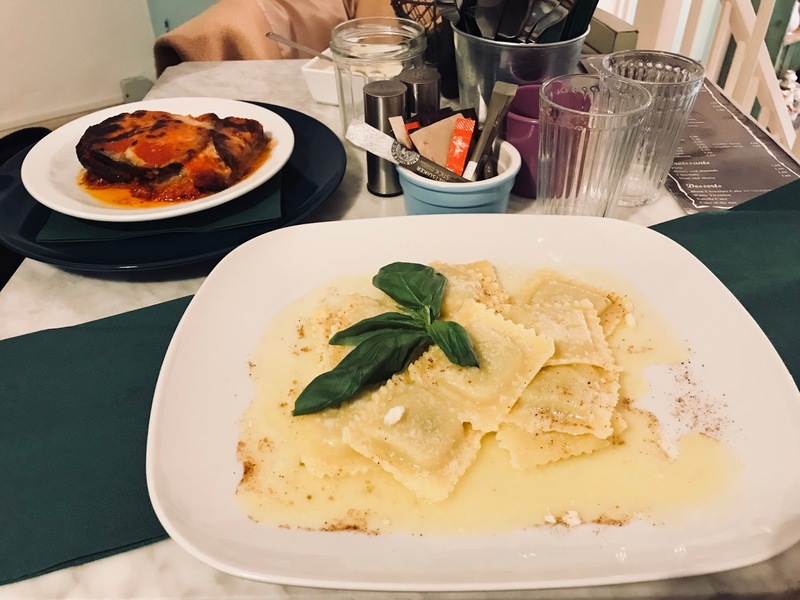 And good fresh Italian comfort food. Perfect for lunch. 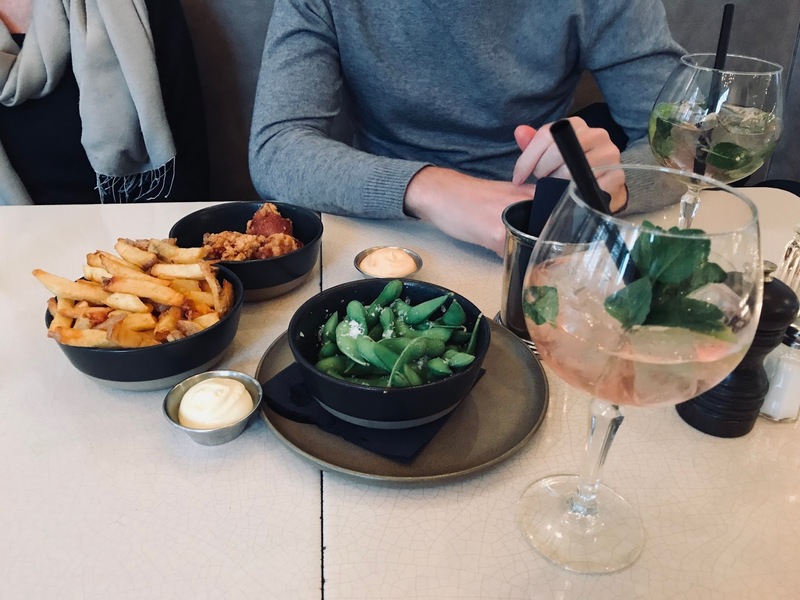 Drinks and snacks at Morgan & Mees. Really good fries. 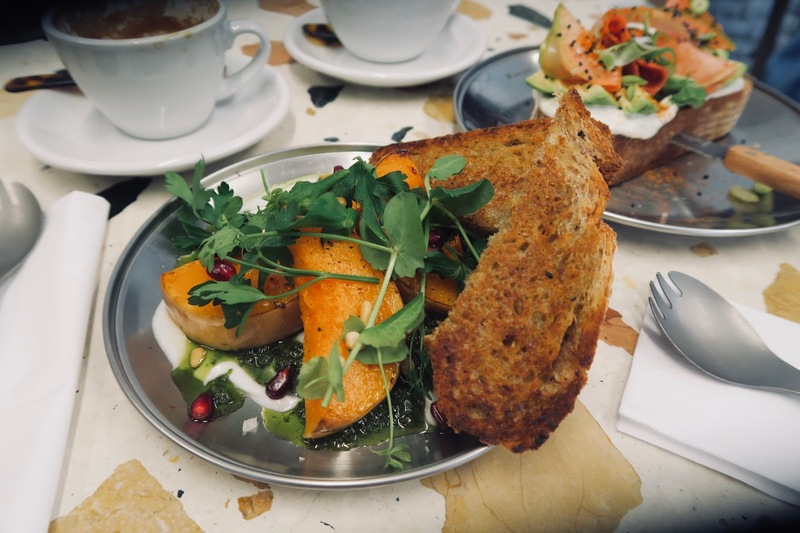 Pumpkin, coconut yogurt and pesto with toasted bread. The weekly special at Toki, made by Chef Nana. She only makes vegan brekkies (eggs optional) and I love everything I've tried. Avocado toast with vegan aioli and watermelon radish. As beautiful as it is tasty. Oh my god, so good. 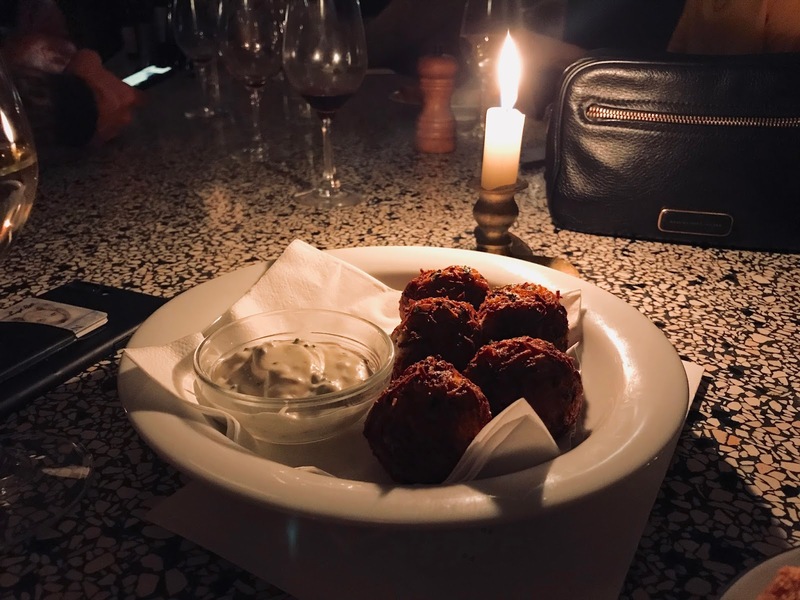 Celeriac and aged cheese fritters at Café Binnenvisser. Review coming soon, but I can already tell you I'd come back daily for these if I could. 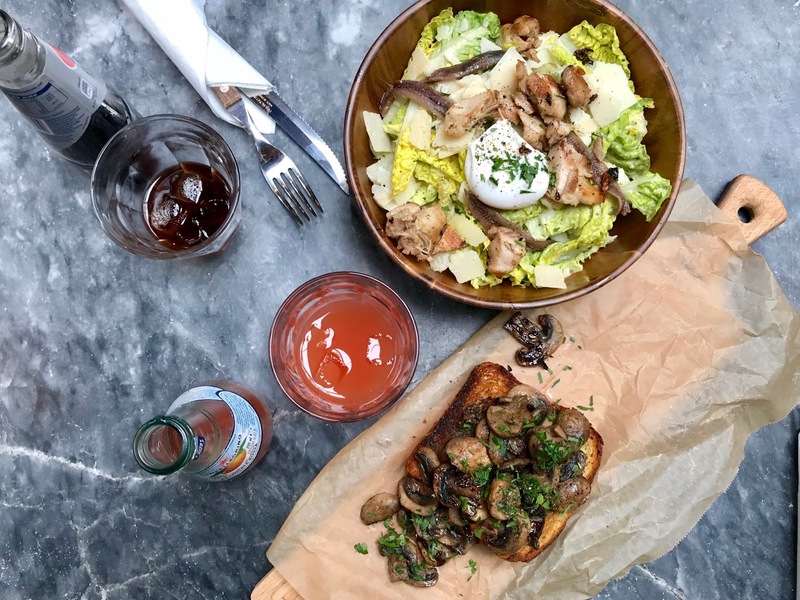 Caesar salad and mushroom brioche toast at Libertine Comptoir De Cuisine. A funny little restaurant that just opened with a really strange layout. The food is really good and well-priced, so I'll be back. Oh and the french toast - not pictured - is divine. 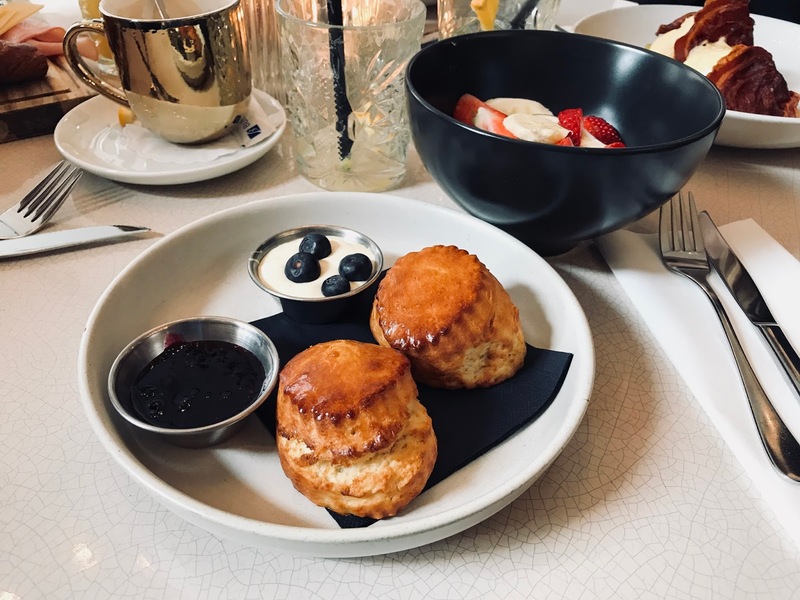 Fresh scones with clotted cream and jam, and a bowl of fruit with yogurt at Morgan & Mees. 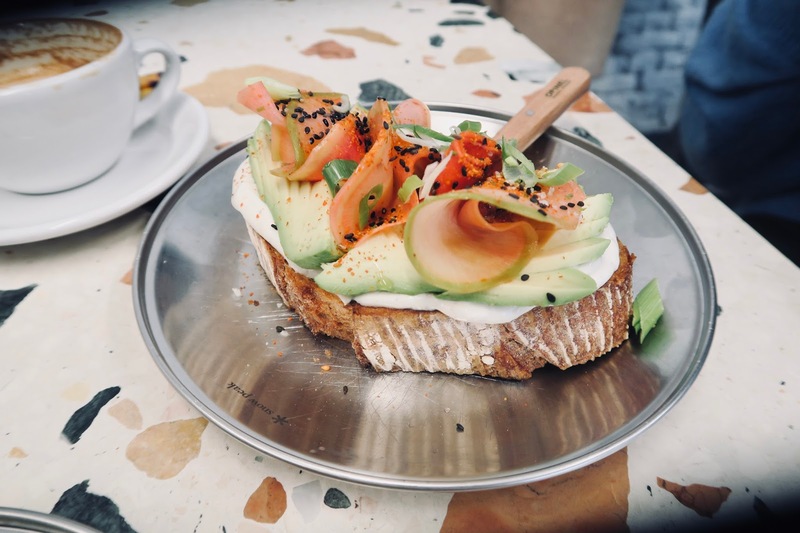 Really good, although my friends were a little less lucky with their (rotten) avocado toast. So it can be a hit or miss. I hope you liked this post format! Let me know if you'd like to see more of these? Or something else?